Once you decide that Cocoa Beach is the right place to settle down, it might seem like you have all the hard work out of the way. However, actually finding your dream house among all the real estate listings can be a little tricky. Of course a talented local Realtor will be a huge help, but you also need to think a little bit about what you prefer in a home. Having a clear idea of the type of house you want will help to make your house hunting go as smoothly as possible. 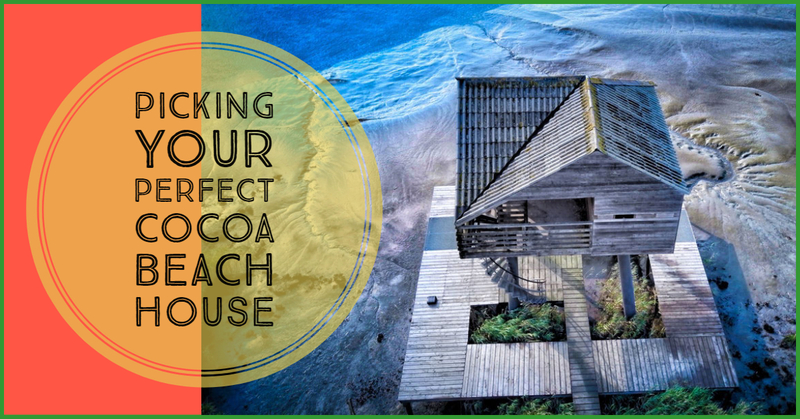 Here are a few things you should consider when you first start looking for your dream house in Cocoa Beach. The city is so small that this is not as hard of a decision as it might be in other towns. However, it is still worthwhile to consider whether you want to be close to the main cluster of shops and restaurants along the AIA or not. Living in the busiest part of town can be great if you love nightlife, great shopping, and delicious restaurants. 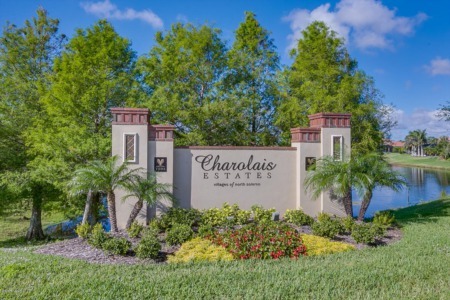 However, those who want to raise a family often prefer the neighborhoods right outside of downtown since this area is quieter and has more land. Square footage preferences are one of the most basic things you should consider when shopping for a home. It is easy to get caught up in the specific number of bedrooms and bathrooms, but remember that you can always change the interior layout if necessary. The most important thing will simply be to get a house that is large enough for your needs. Take the time to think about how many people will be staying at the house, and consider whether or not you need extra space for guests. 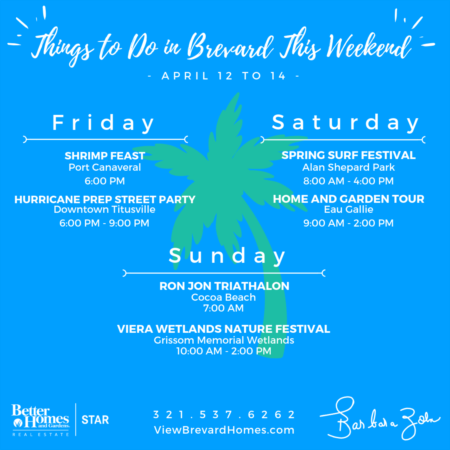 While some people's dream weekend might include an extensive list of DIY projects, real estate repair is not for everyone. When hunting for homes, you can let your real estate agent know that you are fine with a "fixer upper" or explain that you want a home that is ready to move into, or “turn-key”. Keep in mind that some types of repairs are more expensive and difficult than others. For example, patching a hole in the wall and painting it a new color will be far simpler than dealing with a leaky roof. In some cases, a good home inspector can assist your agent in negotiating a better deal for you, or perhaps requirements that seller fix certain things before the deal closes. If it doesn’t look like the repair can be done before closing, ask for a credit from the seller. They’re paying for it one way or the other, but maybe they would rather give a credit than delay the sale closing. This aspect of real estate is entirely up to personal preference, and in this region, it is easy to find a wide variety of options. Those who do not want to bother with yard upkeep might be happy with a cozy balcony attached to their condo. While buyers who love the outdoors might want a spacious yard that opens up right onto the beach. Deciding on your yard preferences will help you to narrow down which part of town you need to be looking in. For many people, their budget is the limiting factor when they shop for homes. It is important to stay near your budget because otherwise the unexpected expenses of owning a home may prove overwhelming. The average value for a home in the city might be around $298,000, but there is a lot of variation in Cocoa Beach real estate costs. Generally, homes cost more along the waterfront, but there are other factors, such as size and age, that will affect price. Keep in mind that listing price is not necessarily the same as the property's value. Homes in the area may sell above or below original listing price. If you are interested in buying a waterfront home, you have a few different options to choose from. The west side of the island is bordered by the Banana River. If you like boating on calm waters or viewing peaceful nature, this is the side of the island for you. Those who want to be able to surf in their own backyard will prefer the east side of the island with all of its beachfront properties. You might think you know which style of waterfront you prefer, but take the time to check out properties in both areas. You may end up surprised by which environment you prefer.